This is an omnipotent motoring tool for rock gods and rock climbers alike. The Land Rover guys aren’t shy in describing their new fourth-generation Range Rover flagship. “The best car in the world,” they boldly proclaim. But, the best car in the world for doing what? For off-road driving, certainly. The Range Rover has always enjoyed mud-plugging, and as it proved to us at the international press launch in North Africa, the new Rangie is just as outgoing, only much better when out and about. Over the course of the two-day event, the car astounded us with increasingly improbable feats of off-roading. We plunged through fast-flowing rivers, clambered over jagged rocks, attacked gullies deep enough to swallow a hippo, and charged up and down massive dunes of soft, shifting sand. The Rangie was practically unstoppable with its full-time four-wheel drive, massive ground clearance, abundant wheel travel, acrobatic axle articulation, and brilliant Terrain Response technology. High-class design, high level of equipment, and a high Command Driving Position make this a special place for kings, princes and kingpins. This version 2 system, operated by a convenient rotary knob on the centre console, has five preset modes – General Driving, Grass/Gravel/Snow, Mud/Ruts, Sand, and Rock Crawl. 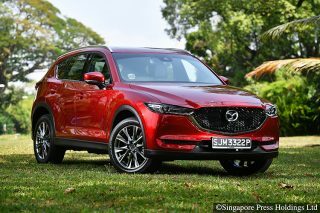 These deal with every conceivable type of driving terrain by juggling the car’s differential settings, gearchanges, torque delivery, anti-lock brakes and traction control behaviour to maximise its off-road prowess. There is also an automatic mode, which will assess the terrain underfoot and choose the most appropriate setting for you. In addition, shorter front and rear overhangs have improved the approach and departure angles, while the moving of the air intakes to the top of the front wings (with fresh air entering through the wide panel gap between the trademark clamshell bonnet and the front fender – ingenious) allows the vehicle to ford water up to 900mm deep, instead of 700mm previously. A massive reduction in the car’s weight has also made it lighter on its feet and hence far more agile. The just-retired Rangie weighs a ludicrous 2.6 tonnes and up, so it’s hardly a surprise that Land Rover’s top priority for the new model was to bring this down to a more reasonable figure. Making the monster smaller wasn’t an option, so the monocoque was constructed in aluminium instead of steel, making it the world’s first aluminium-bodied SUV and shaving off 180kg in the process – that’s 39 per cent “slimmer” than the old steel body. Remarkably, the Rangie’s superstructure is even lighter than the steel bodyshell of the much smaller BMW 3 Series saloon. Optional Executive Class seating pampers with its five-mode massage chairs, four-zone air-con and personal entertainment. Weight-saving measures have also been employed elsewhere to cut a further 100kg-odd, mainly from the subframes and suspension components. 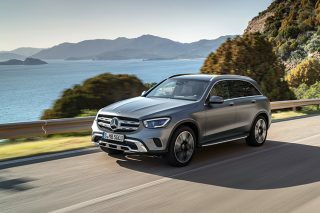 With the newly introduced entry-level, 3-litre turbo-diesel V6 under the bonnet, the lightest model in the range weighs 2160kg, a massive 420kg less than the previous 4.4-litre turbo-diesel V8 base model. Despite its reduced weight, the new Rangie has grown marginally in length, although it also sits a tad lower than its predecessor. It clearly retains the square-edged lines and regal proportions that have made the Range Rover such an automotive icon, but with concessions to aerodynamics in the form of a less upright front end and a rear that tapers slightly in plan as well as profile. With its clamshell bonnet, “floating” roof and large “cheese-grater” front grille, the vehicle remains unmistakably a Range Rover, albeit a slightly less brick-shaped one. The weight-saving hasn’t come with any “decontenting” – far from it. The Range Rover has for some time reigned supreme as the ultimate luxury SUV, but the all-new model is also positioned as a very serious rival to the traditional limo (primarily the Jaguar XJ, Mercedes-Benz S-Class, BMW 7 Series or Audi A8) and even, at a stretch, to something like a Bentley Continental Flying Spur or a Rolls-Royce Ghost. Its cabin is in keeping with this objective. The architecture is elegantly formal and uncluttered (there are 50 per cent fewer switches on the dash than before, with many functions now consolidated on an 8-inch touchscreen), and there is a restrained but very tasteful and effective use of classy materials – polished wood on the fascia and doors, and brushed alloy to delight the fingertips on tactile items such as the doorpulls, cubbyhole handles, gear knob, air vents and climate control dials. And it isn’t just the seats that are leather-clad – the door panels, dashboard and even the rooflining are also swathed in supple, beautifully stitched cowhide. Eight-inch touchscreen for infotainment and extra features. There is, as you’d expect, no shortage of equipment. Acoustically laminated window glass, keyless entry, soft-close doors, powered tailgate, LED ambient lighting, tuneful multi-speaker hi-fi, multi-zone climate control and adjustable rear seats are standard; plus the usual luxmobile plethora of electronic nannies, such as adaptive cruise control, emergency brake assist, blind-spot monitoring and more. 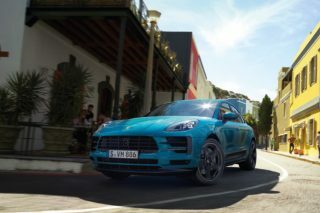 Enticing options on offer include a panoramic roof, individual reclining rear seats with built-in massagers, a cooler box, multimedia video screens for the rear seats and a 1,700-watt, 29-speaker Meridian sound system. At 4999mm long (28mm longer than before), the new Rangie has a footprint closer to that of an Audi A6 than an A8, but its imposing height and bulk lend it visual gravitas, as do its instantly recognisable square-cut Range Rover lines. Legroom has grown by a generous 118mm, and with its ample allowance for shoulders and heads, there is now genuine lounging space in the back. It’s still isn’t as vast inside as the long-wheelbase versions of the usual limousines, but the more commanding seating position, superior headroom and huge glasshouse actually make it feel more airy and spacious than these rivals. 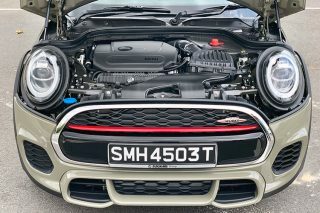 Apart from the aforementioned diesel V6 which delivers 258bhp, the other engines in the lineup are a 339bhp 4.4-litre turbo-diesel V8, a 375bhp 5-litre petrol V8, and reigning supreme, a 510bhp supercharged version of the same 5-litre unit. 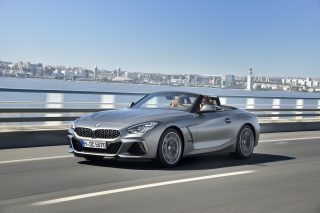 They’re all mated to the latest ZF 8-speed automatic, with steering-mounted paddle-shifters. All-singing, all-dancing 4×4 air suspension and Terrain Response 2 conquer terra firma with paramilitary precision. 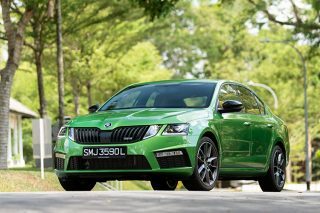 At present, only the 4.4-litre diesel and supercharged 5-litre petrol are slated for Singapore. The Rangie’s performance is Herculean with either engine. The diesel trades on its massive torque (a stonking 700Nm at 1750-3000rpm) to hurl this giant to 100km/h in 6.9 seconds, while the supercharged petrol V8 does the same sprint in a searing 5.4 seconds. These figures are respectively one second and 0.8 of a second faster than similarly engined versions of the old model. That dedicated weight-loss programme was well worth it. Another benefit of the diet is, of course, fuel efficiency, with the 4.4-litre diesel model being 10 percent more frugal than its predecessor, despite simultaneously boasting a nine percent power increase. Top-of-the-line, supercharged 5-litre V8 generates over 500bhp. And all this performance is delivered fusslessly, with almost ridiculous ease. The gearbox slurs imperceptibly through its many gears, and the engine is almost inaudible at idle and remains a muted throb even when extended. Road noise is near-absent (the Range Rover engineers claim it trumps every rival, including top-end saloons, on this front), and with the exception of some wind rustle from the massive door mirrors at high three-figure speeds, the cabin is a plush, silent cocoon. The very impressive refinement is rivalled by the ride, which is excellent. It’s noticeably smoother than that of the old Rangie, which has a tendency to patter and bob a bit over bumps – the new one just cruises regally over, its air springs and adaptive damping dealing effortlessly with anything the road surface can muster. The handling benefits vastly from the weight loss, too. Of course, the new Rangie isn’t going to challenge something like a Porsche Panamera around a racetrack, but it is surprisingly agile considering its height and (still substantial) weight. With the electronically controlled active hydraulic anti-roll bars fitted to all models except the base V6, body roll is well controlled and the big Rangie can be hustled through bends with quite some pace, although the awareness of the car’s bulk and heft, and the sheer height of your seating position still deter you from a maximum-attack charge. 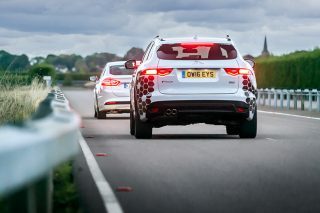 The electrically assisted steering is nicely weighted and linear, although not as sharp or feelsome as that of, say, a Porsche Cayenne Turbo. The new Rangie has put further distance between itself and deluxe SUV pretenders. Its pedigree, exquisite choice of materials and interior ambience are unrivalled by anything this side of a Bentley, and with its stature (literal as well as metaphorical), it delivers a far more imperious experience to its occupants than any “normal” luxury four-door can. And as we discovered for ourselves in two days’ driving through the rugged Moroccan landscape, the Range Rover’s breadth of ability is astonishing. The best car in the world? It’s not such a bold claim after all. This story was first published in the January 2013 issue of Torque.